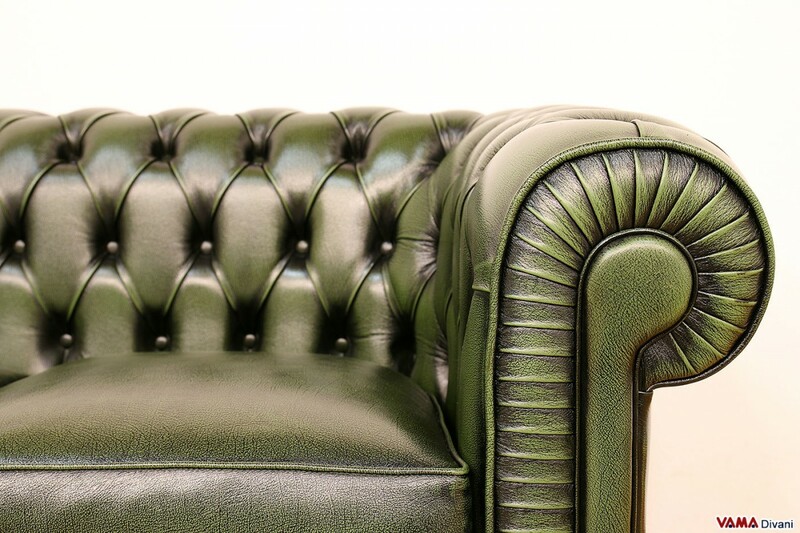 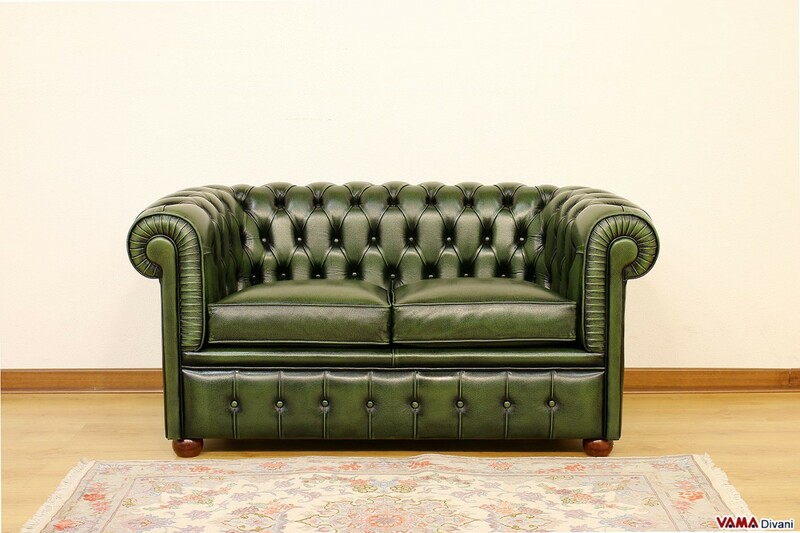 This sofa characterised by a smaller size preserves the beauty, the comfort and the structural strength of this typical old English piece of furniture in a perfect way. 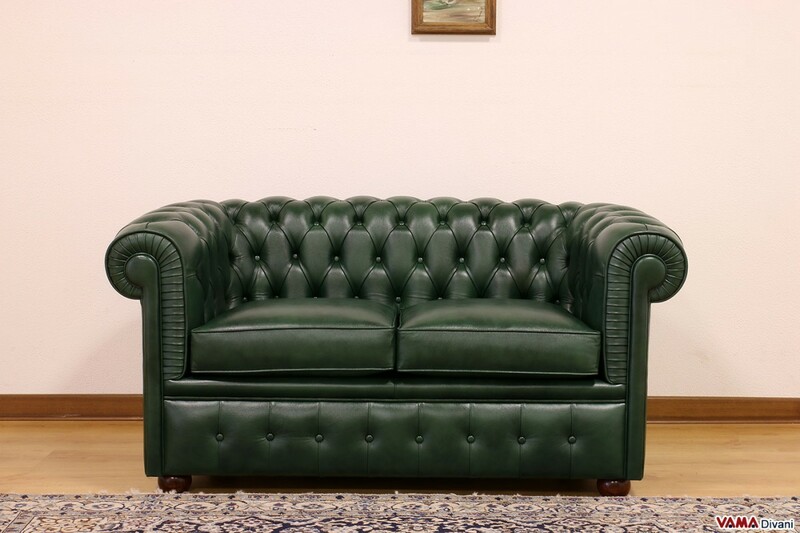 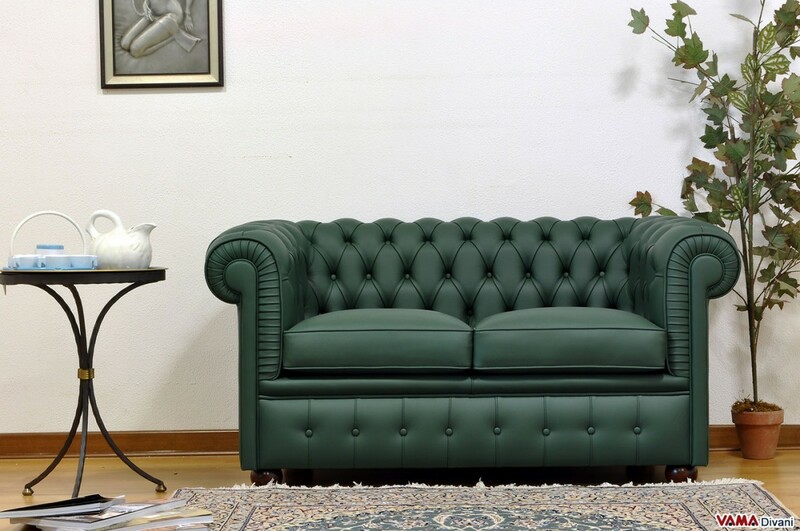 The Chesterfield sofa is a must for lovers of classic furniture, but its impressive look, on many occasions, proves to be incompatible with some space needs, for example, if you have to decorate your living room in a small and modern flat. 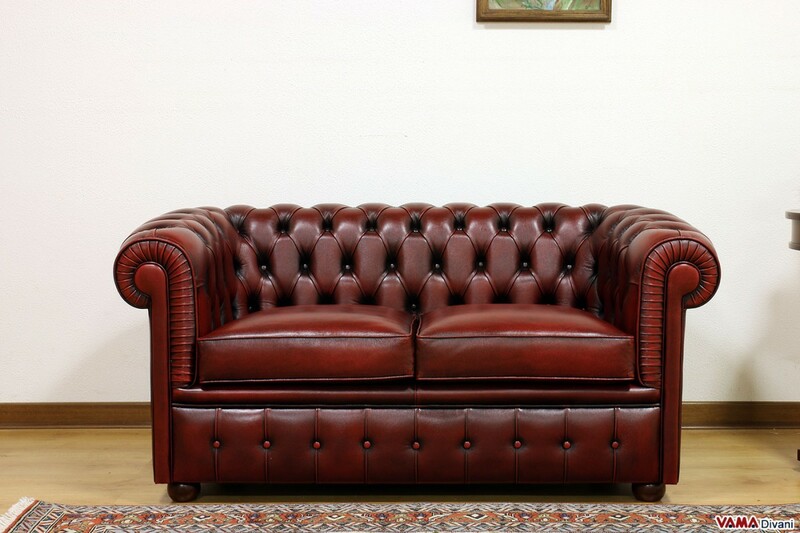 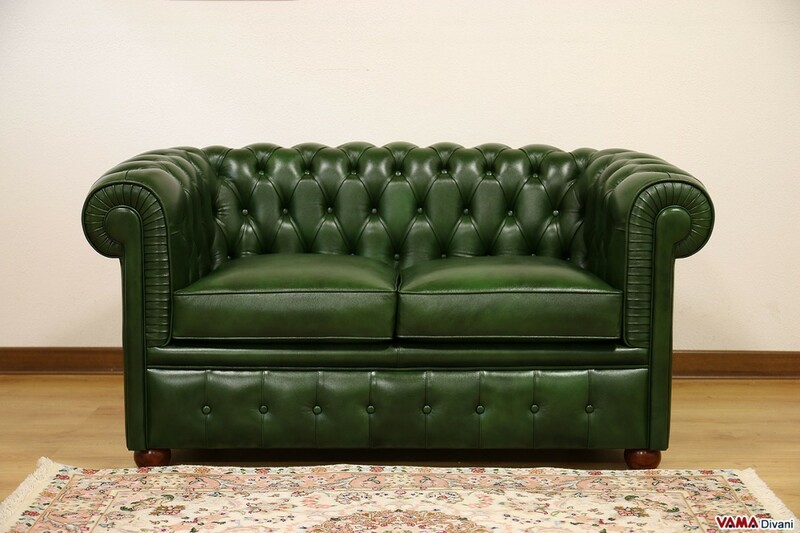 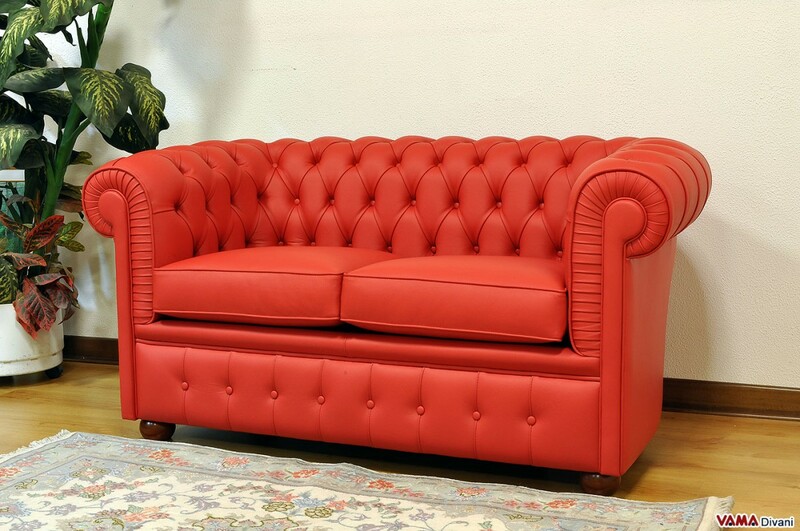 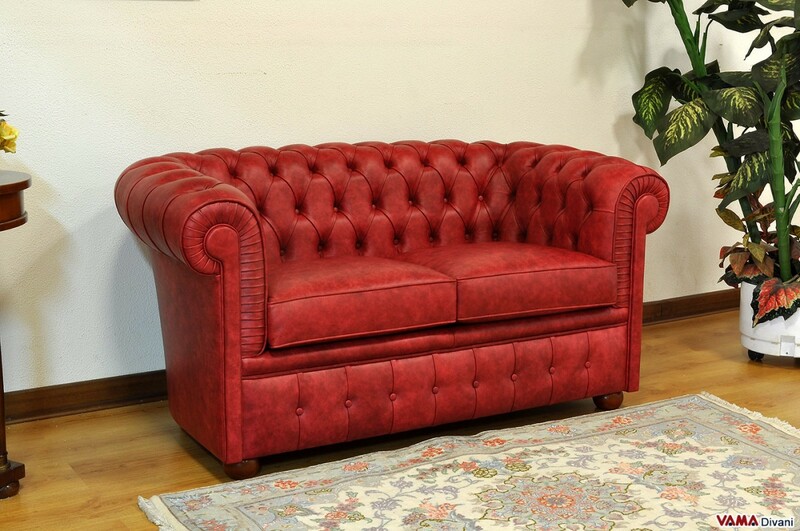 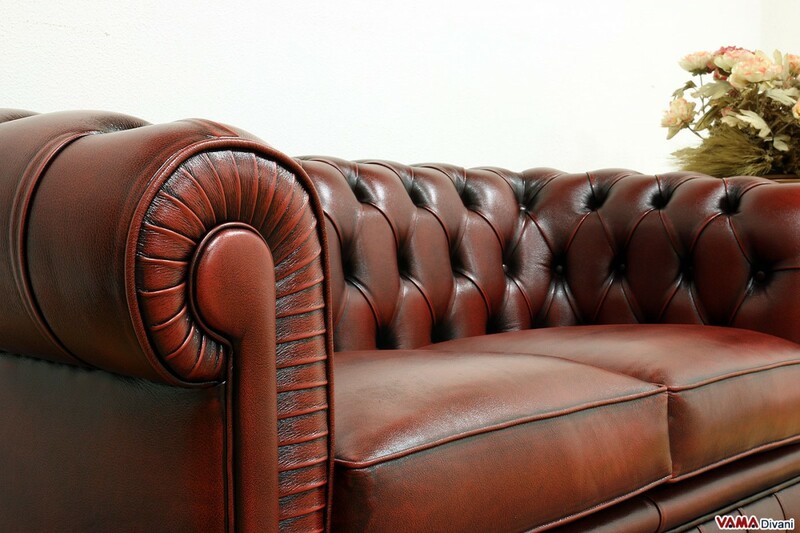 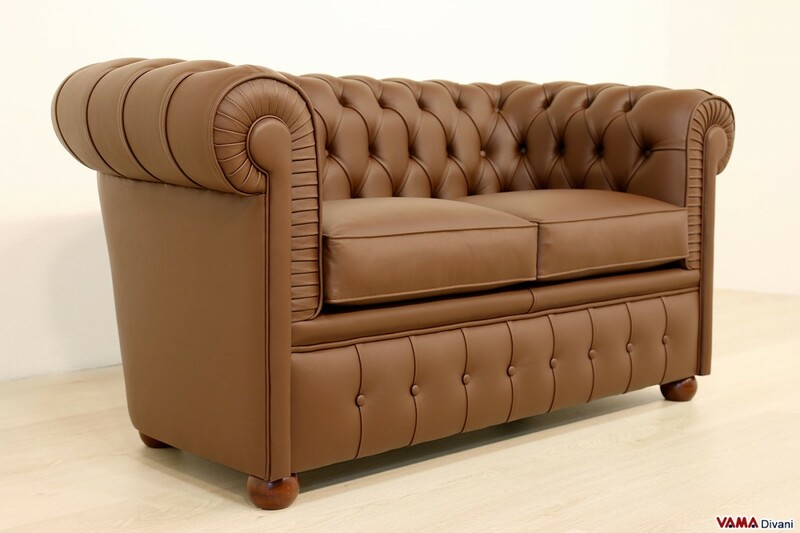 If you are looking for a smaller Chesterfield sofa, the Chesterino sofa is perfect for you! 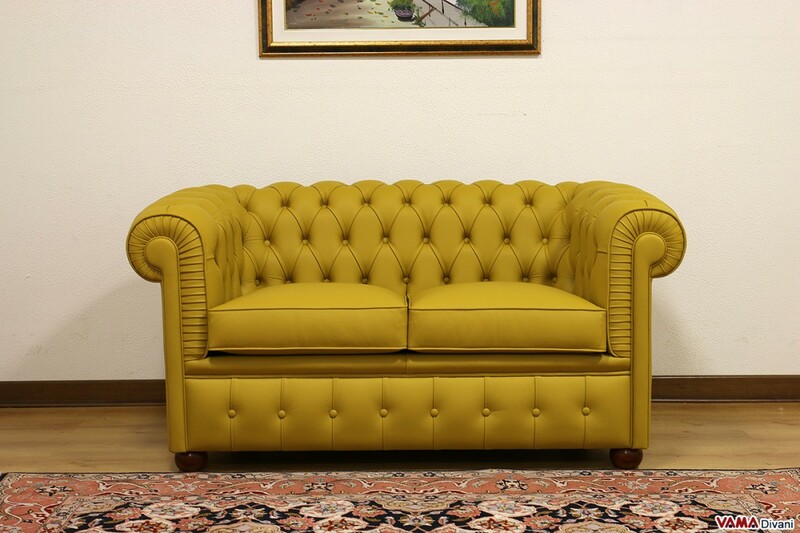 The Chesterino sofa solves this space problem, although it is a classic 2-seater sofa that recalls the style of the oldest Chesterfield, it is only 140 cm long, absolutely perfect for narrower spaces, this model can be placed in any type of room, even in a not too spacious office. 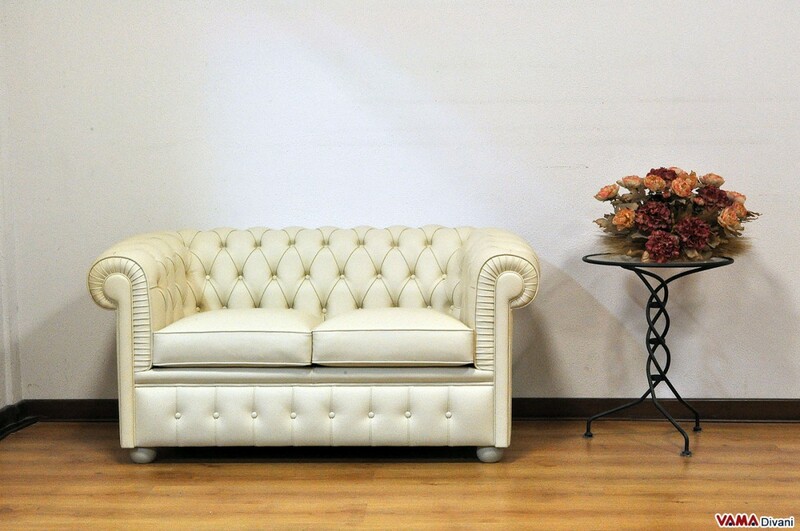 Reduced in size but not in quality for this perfect combination of elegance and beauty. 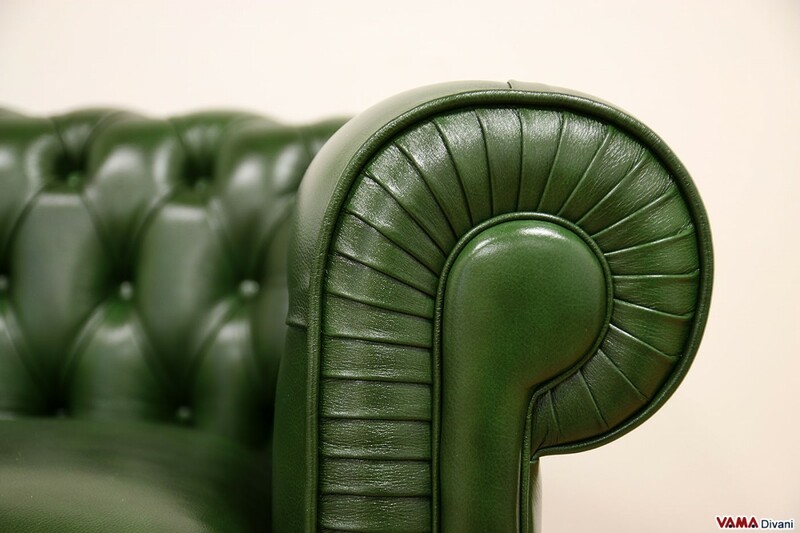 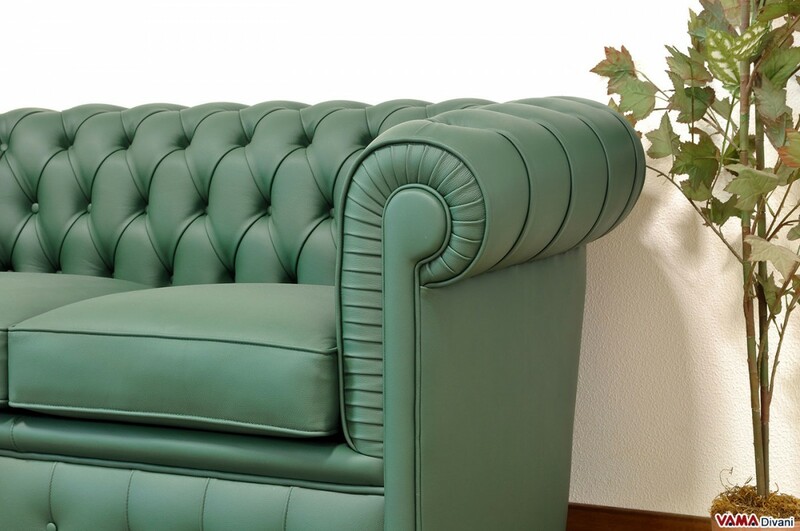 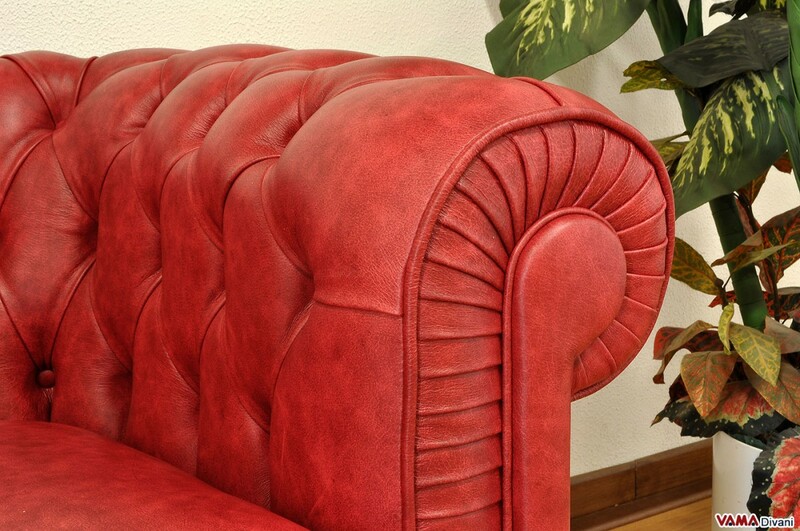 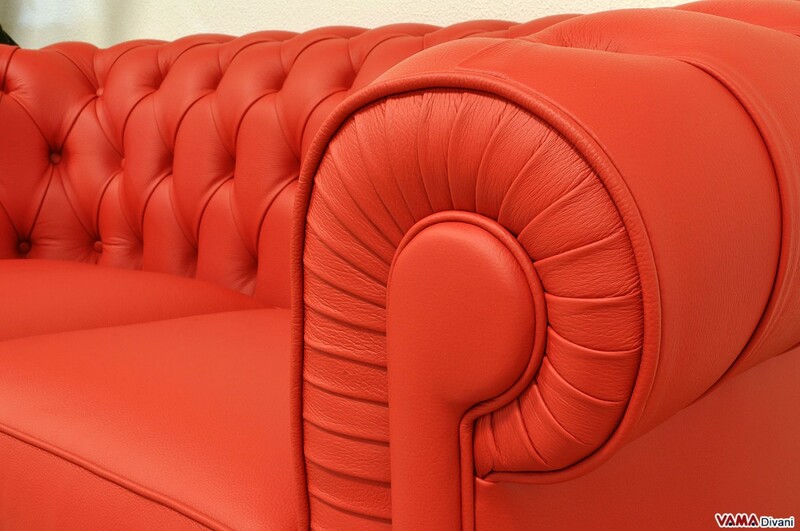 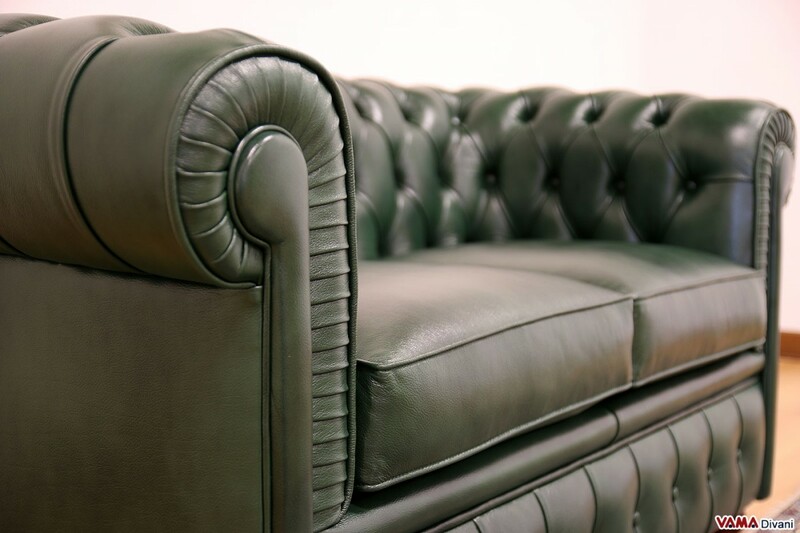 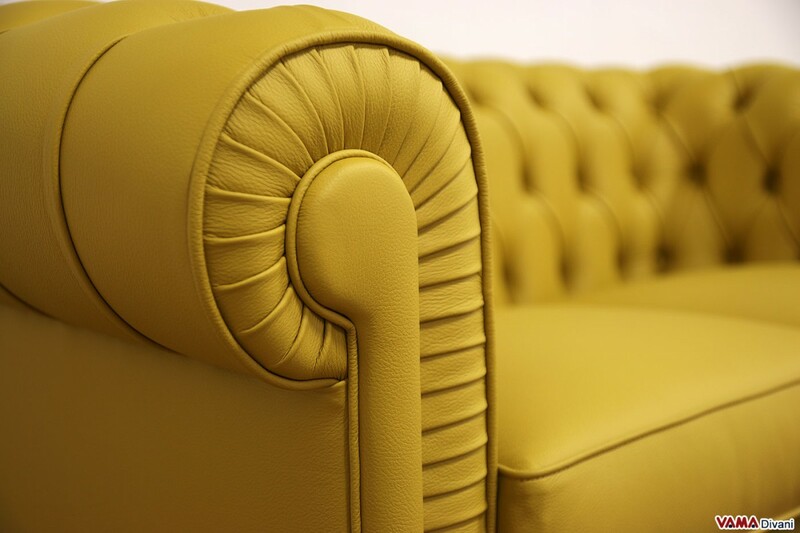 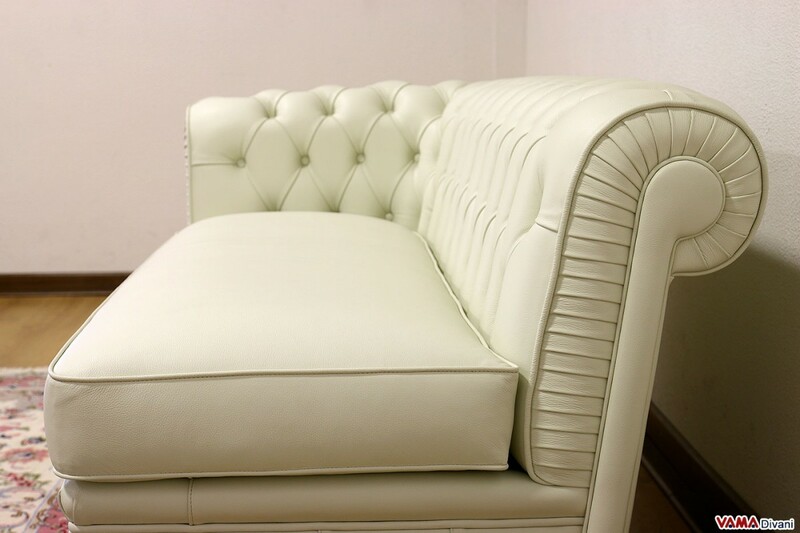 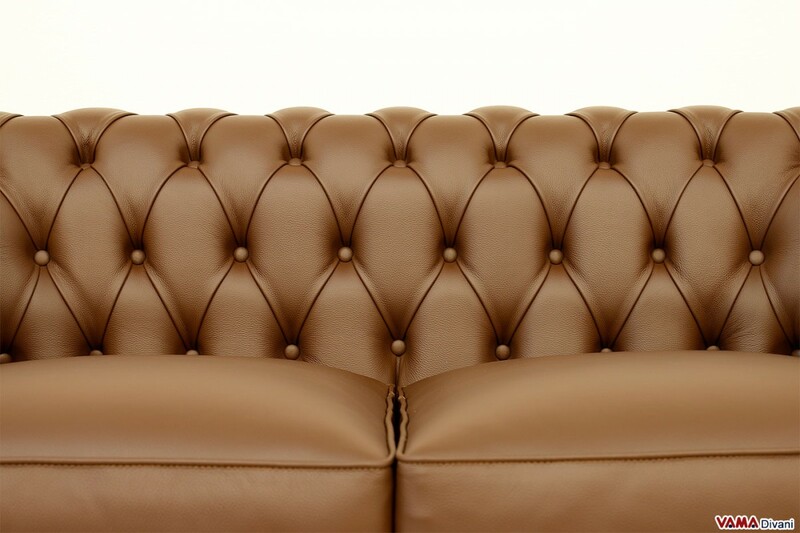 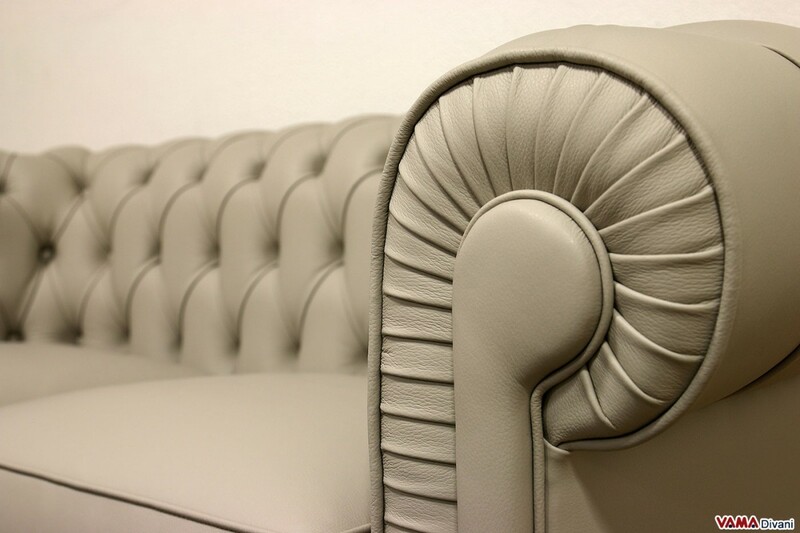 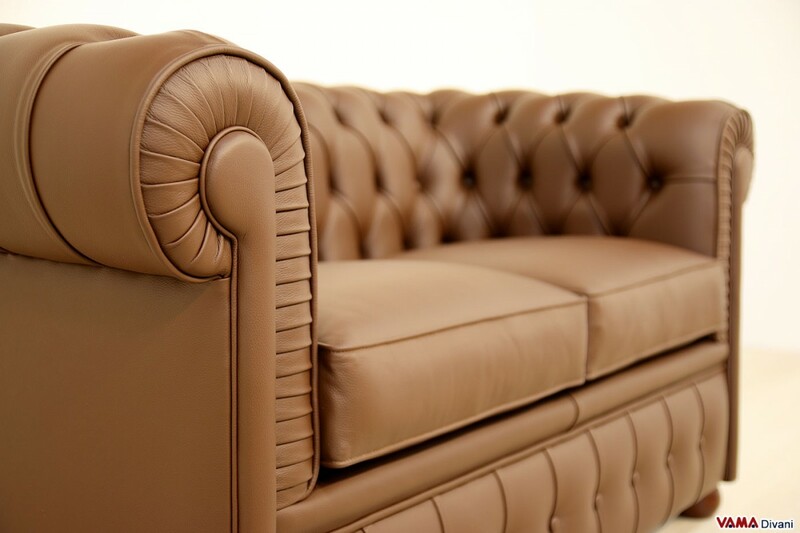 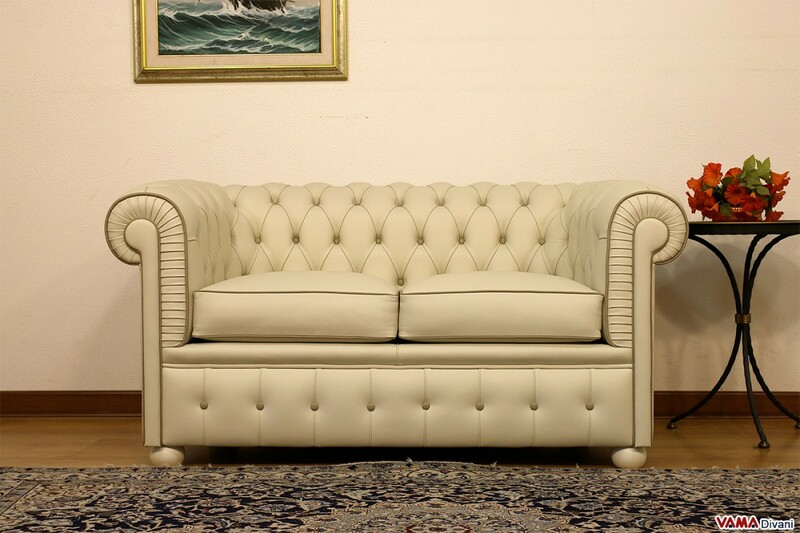 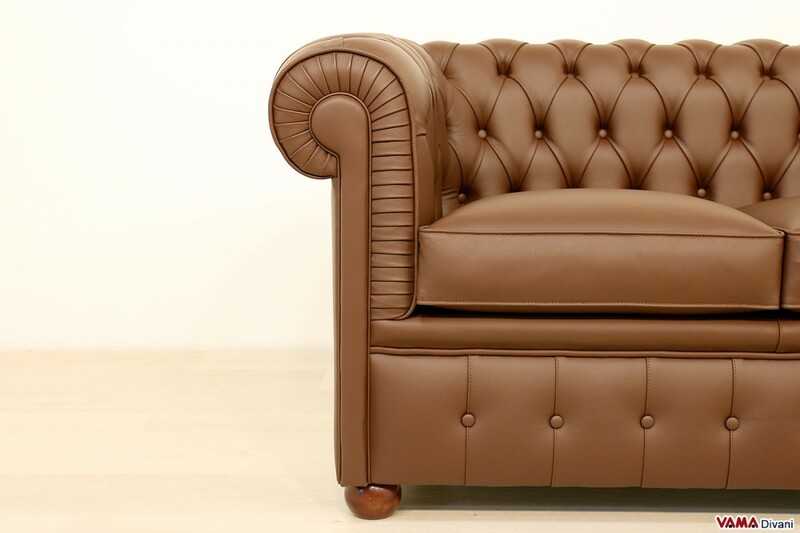 Every detail of this sofa is made with great accuracy by our Italian craftsmen, starting from the bold and buttoned details on its surface, that upholster a large part of the sofa, to the smallest details, such as those of the front part of its arm. 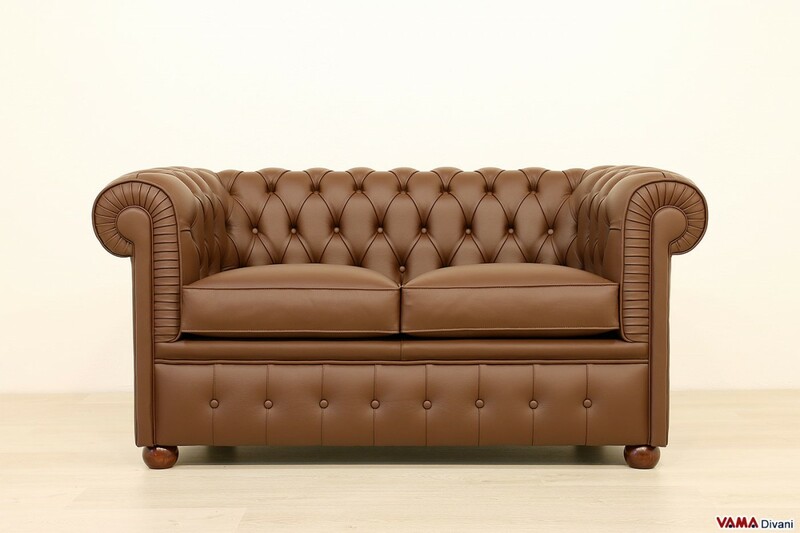 The Chesterino is a very resistant sofa and it is made with high quality materials, not only concerning its upholstery, made of fine leather as usual, but even regarding its internal structure. 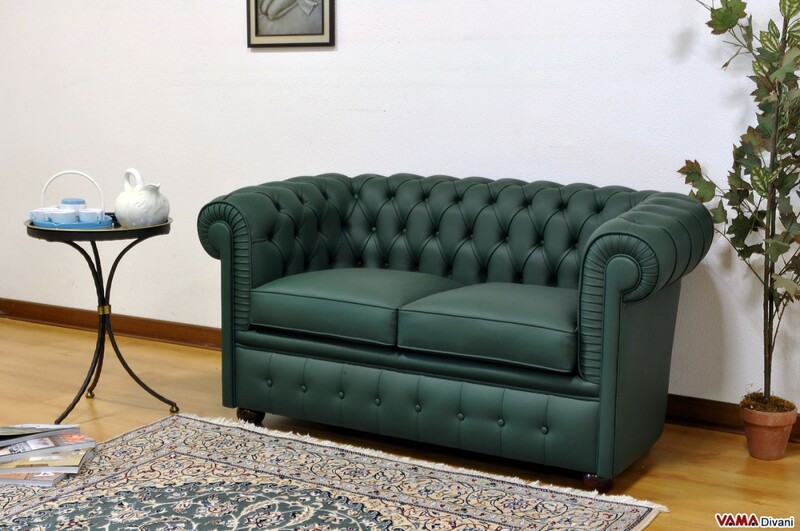 If you think that the Chesterino sofa is ideal for your room but it is not enough, complete your living room with a Chesterina armchair. 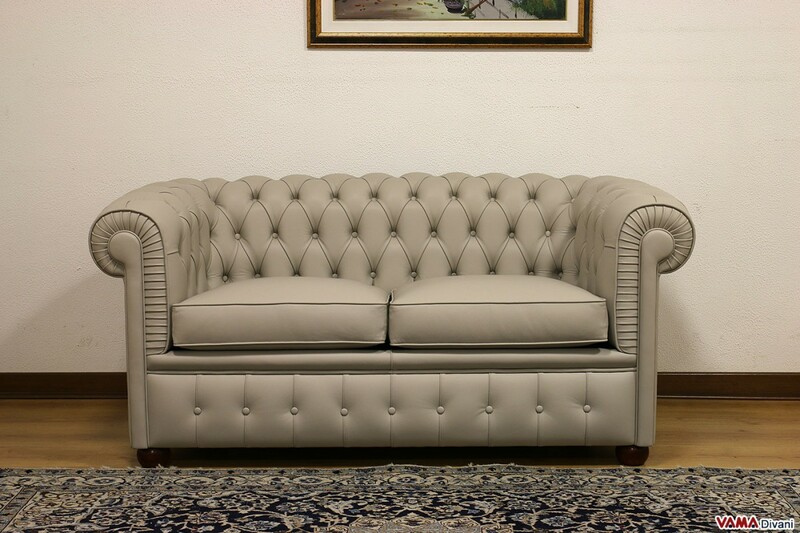 The same proportion for a valuable living room. 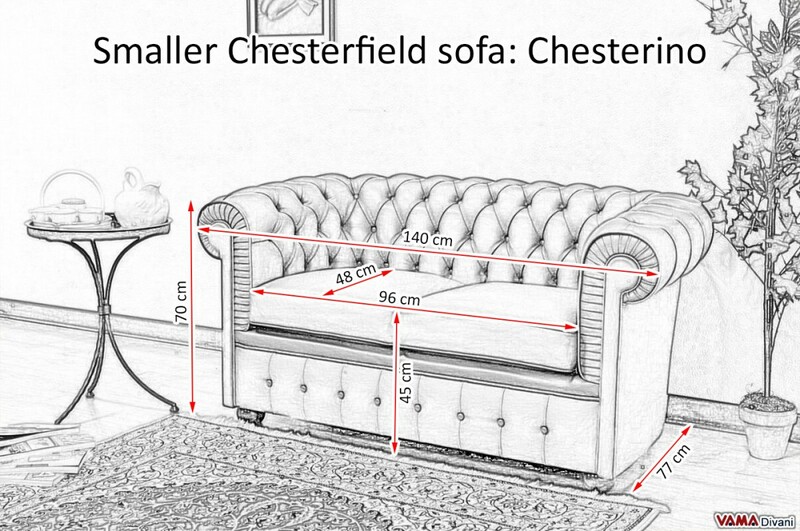 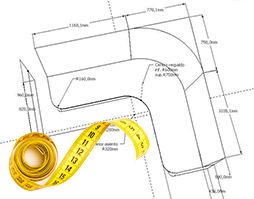 If you have specific space requirements, you can order a Chester custom sofa.